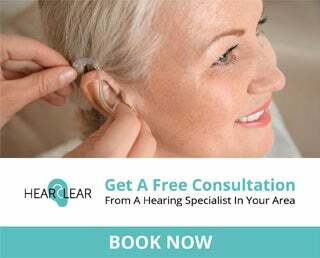 Everyday Hearing > Hearing Technology > SoundBite Hearing System – Is it right for me? 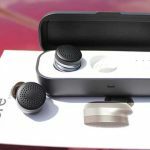 SoundBite Hearing System – Is it right for me? 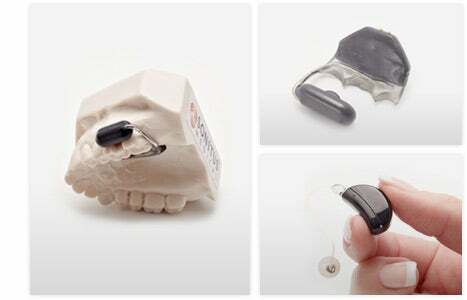 This is a prosthetic non-surgical hearing device that uses bone conduction of the teeth to transmit sound. 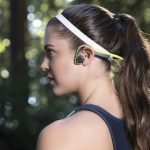 So, what is bone conduction? Bone conduction is a transmission of sound to the inner ear produced by sound waves vibrating the bones. This is a natural process of hearing that has been known for a very long time. Although we don’t necessarily feel the vibrations of sound, the sound waves are vibrating our bones when in contact. 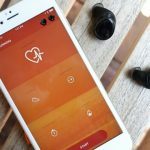 What is different with the SoundBite Hearing System versus other bone anchored hearing devices, is that SoundBite does not require any surgery and it utilizes vibrations from the teeth to transmit sound to the ear. The in-the-mouth (ITM) device. This fits securely around the upper back portion of the teech but does not require any modifications to the teeth. It wirelessly picks up the sound detected by the BTE unit and transmits it into sound vibrations. These sound vibrations travel via the teeth through the bones of your ear and into the cochlea (hearing organ) where the sound is detected. 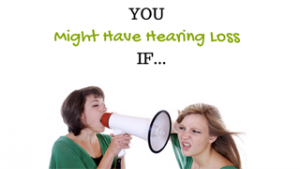 What is Conductive Hearing Loss (CHL)? Conductive hearing loss is a disorder of the outer or middle ear only. The inner ear, or cochlea, is functioning normally. The SoundBite works for conductive hearing loss because it allows the sound to bypass the disordered outer and middle ear and go directly to the functioning cochleas. What is Single-sided Deafness (SSD)? Single-sided deafness is normal or near-normal hearing in one ear and essentially no hearing in the other ear. People with SSD do not benefit from traditional amplification because the good ear (normal ear) does not need a hearing aid but the bad ear can not benefit from a hearing aid because it is “too bad”. The Soundbite works for people with SSD because it picks up sounds coming from the bad ear via the behind-the-ear unit and transfers them to the good cochlea via the in-the-mouth unit allowing the person to detect the sound from that side. A dentist who determines whether you are a candidate based on a dental screening and provides the impression for the ITM unit. The SoundBite hearing system is a good option for people who want a non-surgical hearing option but can not benefit from traditional amplification. 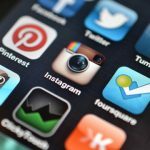 If you think you may be a candidate for the SounBite hearing system, be sure to contact an office who works with this technology. They can be found by going to www.soundbitehearing.com.